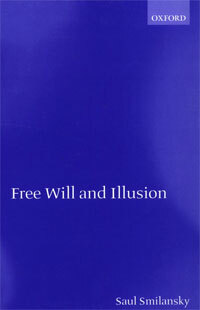 Illusionism is the position that free will does not exist and is merely an illusion. Many ancient and modern thinkers have made this claim, including Hobbes and Einstein. Some moderns claim it will do society good to recognize this illusion. Many simply want to eliminate all retributive punishment of criminals. Others, following Peter Strawson, want to hold onto the ideas of blame and praise. A few compatibilist/determinist philosophers have, following Strawson, turned the conversation away from the “unintelligible” free will problem to the problem of moral responsibility. They include John Martin Fischer, Derk Pereboom, and Saul Smilansky. They basically abandon free will as incompatible with determinism and hold onto moral responsibility as compatible, but their positions are all subtly nuanced. Pereboom, Smilansky, Galen Strawson, and the psychologist Daniel Wegnerexplicitly say that free will is merely an illusion. Illusionism is the position that illusion often has a large and positive role to play in the issue of free will. In arguing for the importance of illusion, I claim that we can see why it is useful, that it is a reality, and why by and large it ought to continue to be so. Illusory beliefs are in place concerning free will and moral responsibility, and the role they play is largely positive. Humanity is fortunately deceived on the free will issue, and this seems to be a condition of civilized morality and personal value. These two explanations are both appealing but in different ways. The scientific explanation accounts for behavior as a mechanism and appeals to that part of us that knows how useful science is for understanding the world. It would be wonderful if we could understand people in just the same way. 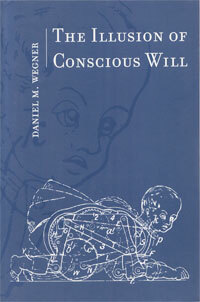 The conscious will explanation, on the other hand, has a much deeper grip on our intuition. We each have a profound sense that we consciously will much of what we do, and we experience ourselves willing our actions many times a day. As William James put it, “The whole sting and excitement of our voluntary life … depends on our sense that in it things are really being decided from one moment to another, and that it is not the dull rattling off of a chain that was forged innumerable ages ago” (Principles of Psychology, 1890, 453). Quite apart from any resentment we might feel on being cast into the role of mechanisms or robots, we appreciate the notion of conscious will because we experience it so very acutely. We do things, and when we do them, we experience the action in such a way that it seems to flow seamlessly from our consciousness. We feel that we cause ourselves to behave. The idea of conscious will and the idea of psychological mechanisms have an oil and water relationship, having never been properly reconciled. One way to put them together — the way this book explores — is to say that the mechanistic approach is the explanation preferred for scientific purposes but that the person’s experience of conscious will is utterly convincing and important to the person and so must be understood scientifically as well. The mechanisms underlying the experience of will are themselves a fundamental topic of scientific study. We should be able to examine and understand what creates the experience of will and what makes it go away. This means, though, that conscious will is an illusion. It is an illusion in the sense that the experience of consciously willing an action is not a direct indication that the conscious thought has caused the action.